Please accept my blessings. I beg to acknowledge receipt of your letter dated December 24, 1968 and I have noted the contents with pleasure. I am so encouraged that your activities in Hawaii are going nicely and I will be looking forward to seeing you again when I am able to go there. You had been having problems with Madhavi Lata, and Krishna has solved the problem because she is now in the Halawa Jayal and preaching very nicely. I received one letter from her yesterday and she describes that some of her acquaintances there are already considering initiation, so Krishna has arranged to release you of any burden you were feeling and also she is having the opportunity to do service. 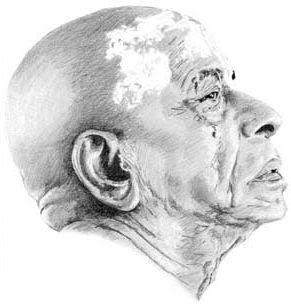 I have seen the Istagosthi notes of your meetings which were sent by Lilavati, and you are doing very nice in speaking on the principles of Krishna Consciousness. So with your speaking talents there is so much valuable preaching work that you will have opportunity to do to relieve the burden of the suffering humanity. So more and more try to develop this skill, such able speakers as yourself are a great boon to spreading this movement of Sri Caitanya Mahaprabhu. Thanking you once more for your letter, I hope that you are well. P.S. Govinda Dasi is preparing herself for going ___, to you at Hawaii.